American Heart Association has released its latest Scientific Statement on Resistant hypertension. The new statement replaces an earlier statement on the topic published in 2008 and is based on a review of over 400 research studies by the writing committee. It provides a comprehensive overview of how to diagnose and treat the condition based on a review of available scientific information. The statement has been published in the Association’s journal Hypertension. 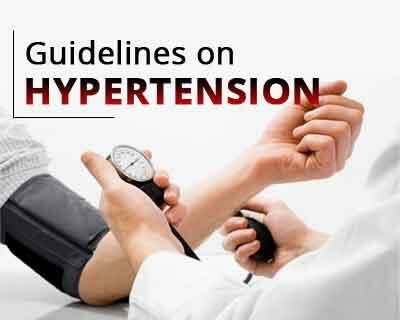 Patients are diagnosed with resistant hypertension when they need three or more medications to treat high blood pressure but still have blood pressure that exceeds the goal for hypertension according to 2017 American Heart Association/American College of Cardiology guideline for hypertension. The antihypertensive drugs should be administered at maximum or maximally tolerated daily doses. Also, patients whose blood pressure achieves target values when on four or more different types of blood pressure lowering medication are also termed as cases of resistant hypertension. Resistant hypertension is more often found among African-Americans, men, older adults and, people who are obese, or those who have diabetes, peripheral artery disease, obstructive sleep apnea or other conditions. Resistant hypertension affects 12 per cent to15 per cent of patients treated for high blood pressure. The criteria for defining resistant hypertension have become more specific. About 50 per cent to 80 per cent of people who should be taking blood pressure lowering medications don’t take them correctly because the regimen may be expensive and have unwanted side effects, which can result in poorly controlled blood pressure. Over-the-counter non-steroidal anti-inflammatory drugs (NSAIDs), including ibuprofen, aspirin, naproxen and some prescription medications, such as oral contraceptives may also raise blood pressure, so health care providers should ask patients if they are using these medications. A common condition that can mimic resistant hypertension is the “white coat effect,” when blood pressure is higher in the doctor’s office than at home because the patient is anxious. Patients should measure their blood pressure at home using a portable monitor or by wearing a device that can measure blood pressure at specific intervals over the course of a day to take care of this problem. The recognition that sleep deprivation contributes to a lack of blood pressure control. Once diagnosed healthcare providers should work with their patients to help them improve their lifestyle. Eating a DASH-style diet, that emphasizes eating fruit, vegetables, whole grains, low-fat dairy products, poultry and fish while limiting red meat and foods high in added sugars and salt has been clinically proven to lower blood pressure. After establishing the diagnosis, healthcare providers have a variety of medication regimens to help their patients. By definition, the patient will already be taking three different classes of antihypertensive drugs, including a long-acting calcium channel blocker (CCB), an angiotensin-converting enzyme (ACE) inhibitor or angiotensin receptor blocker (ARB) which interacts with the renin-angiotensin system and a diuretic (so-called “water pills”). The healthcare providers should consider substituting the diuretics chlorthalidone or indapamide for the more commonly prescribed diuretic hydrochlorothiazide. To consider adding spironolactone, a medication that reduces the effect of aldosterone, to the antihypertensive drug regimen. If BP remains elevated, stepwise addition of antihypertensive drugs with complementary mechanisms of action to lower BP s advised. If BP remains uncontrolled, referral to a hypertension specialist is advised. The healthcare provider can then customize a medication regimen based on the individual characteristics of the patient to make sure they are taking the most effective medication for their situation. If blood pressure remains uncontrolled, a mineralocorticoid receptor antagonist (MRS), which blocks a hormone associated with blood pressure called aldosterone, can be added to help lower blood pressure. Carey said it is also important to screen patients for secondary hypertension, an underlying condition that can cause high blood pressure. Treating patients for secondary hypertension can often cure them. Secondary hypertension frequently arises from a condition called primary aldosteronism, a disorder of increased aldosterone secretion, which is found in about 20 per cent of patients with resistant hypertension. Other major causes of secondary hypertension include chronic kidney disease and renal artery stenosis, a narrowing of one or more arteries that carry blood to the kidneys.